Chantz is an easy listening band from Tahmoor. Their repertoire contains a blend from 60'sthe present. The band plays mostly covers but also likes to bring good original stuff in the vein of Neil Diamond/ Paul McCartney. 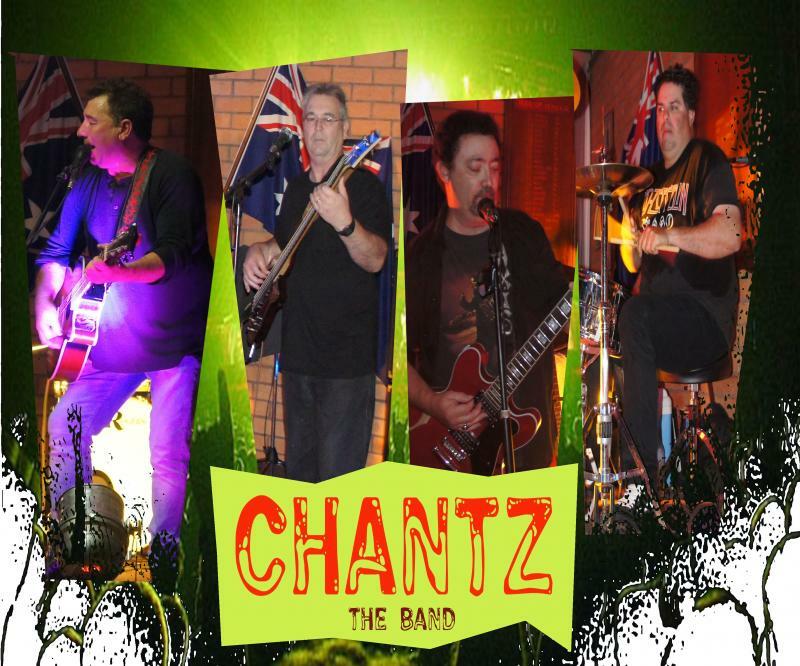 Chantz is a rockin’ and energetic Sydney covers band blending the best of the Sixties, Seventies, Eighties and Nineties with the best of today. With a repertoire of covers including Elvis Presley, The Beach Boys, The Rolling Stones, Dire Straits, INXS and the Red Hot Chili Peppers plus much more, Chantz also belts out a stream of fresh original tracks. Established by Lead Singer/Guitarist, Bruce Daniele, Chantz combines his vocal and musical talent with Lead Guitarist – Luis Lozano Jnr and Drummer, Michael Miknic to deliver a band that rocks the music scene and gets audiences up dancing. Chantz is a highly in demand party band having played at many parties and private functions across Canberra, Sydney, the South Coast as well as across New South Wales. Is She Really Goin Out With Him?